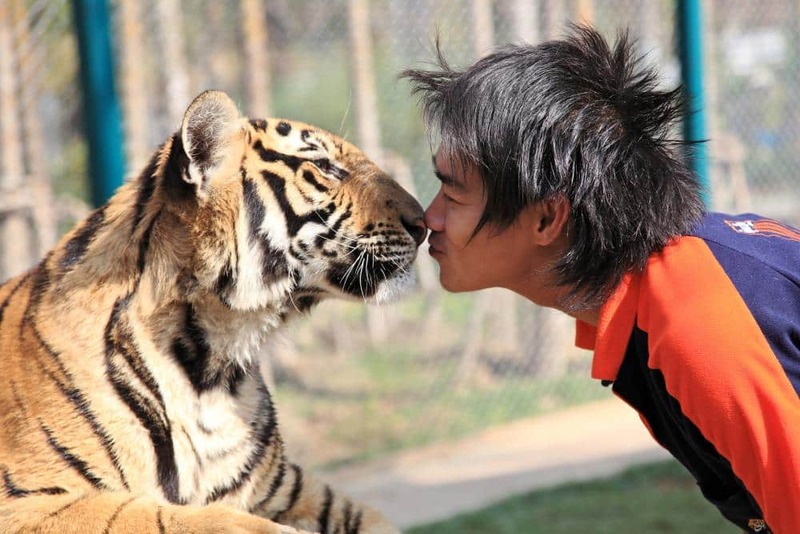 Tiger Kingdom is an attraction in Chiang Mai which allows visitors to get up close and take pictures with Tigers. Tiger Kingdom Chiang Mai is located in Mae Rim, just 17kms north of the old city. You can take a tuk tuk or red truck to get here and the price is about 400 THB return. The park states that the tigers are hand reared and this is why they are able to be approached and touched. Upon arrival at Tiger Kingdom Chiang Mai, you will be able to purchase a number of packages depending on what you want to do. There are also safety restrictions based on your height, this means that little kids will not be allowed in a cage with a large tiger. The biggest tigers can only be approached by people over 18yrs and over 160cms. The medium sized tiger can only be approached by those over 17yrs and over 160cms. 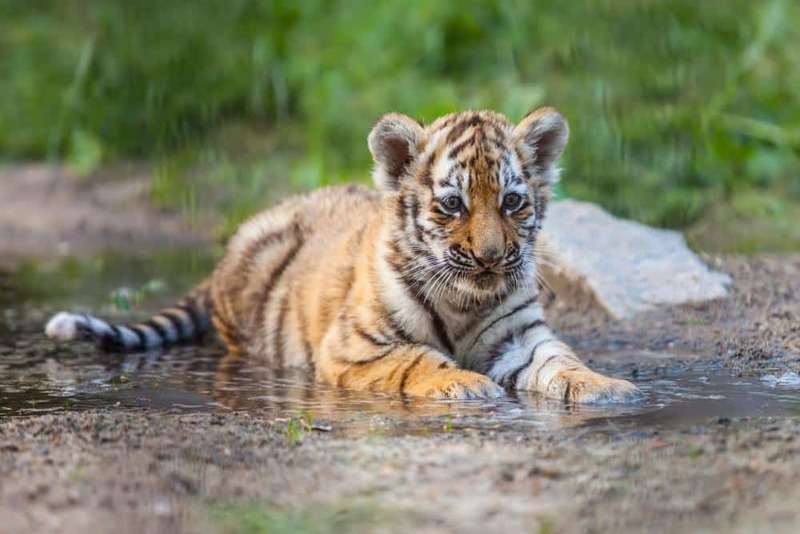 The small tigers can be approached by those aged over 16yrs and over 150cms and the smallest tigers can only be approached by those over 120cms and must be accompanied by an adult. People with walking sticks or in a wheelchair are not permitted inside the cage with a tiger for safety reasons. Prices are determined by the size of the tiger you wish to engage with and are noted below. Packages are also available if you want to visit with more than one tiger. During the early mornings and hot afternoons are when the tigers like to sleep most, so plan your day accordingly. There is a cafe on site which serves a buffet lunch every day between 11am – 3pm and there is also a souvenir shop. Make sure to have your songthaew or tuk tuk wait for your return trip, as return rides can be hard to come by if not previously arranged.